Dear Freshers, Here Are 12 Cool Outfit Ideas In #BollywoodStyle For The First Day Of College! College Men Nayi Nayi, Aayi Ek Ladaki Hai..."
This song could easily be for you on your first day of college. I remember how much pressure there was on me before my first day of college - what to wear, how to look confident, how to make new friends, how not to make a fool of myself etc etc. But instead of standing in front of your wardrobe scratching your hair to the roots, take a cue from the most popular college girls in Bollywood and make your first day of college super stylish and impressionable. 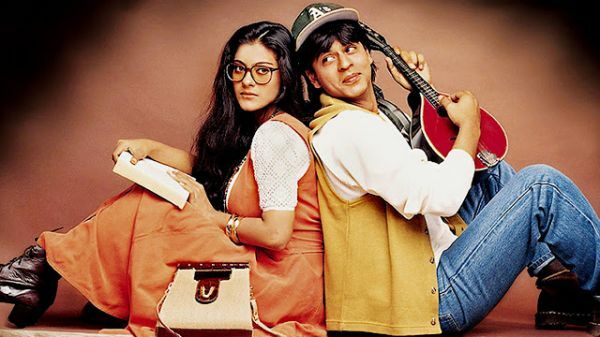 Kajol's one of the most legendary characters was DDLJ's Simran and equally legendary was her fashion sense in the movie. Our favourite look is when she almost misses her train to Switzerland - rust orange sleeveless maxi dress worn over a white self-design top with heeled booties, a sling bag and those I-Don't-Have-Time-For-Your-BS glasses. POPxo Recommends: Peach-Coloured Solid Maxi Dress (Rs 759) by Ether. There was a time in the 90s when all parents wanted to name their daughters either Anjali or Tina, thanks to K2H2. Tina aka Rani Mukerji was and still is a style icon for her "London se aayi hun" advanced outfits in the movie. Here's velvet dress that you can wear to the first day of college. Wear a casual white shirt or shrug over it with matching earrings, just like Tina. POPxo Recommends: Blue Velvet Dress With Choker (Rs 847) by Shein. “Kon hai woh jisne dobara mudke mujhe nahi dekha!” When it comes to fashion, Poo aka Pooja aka Kareena Kapoor from K3G was a true visionary. It's 16 years later and halter-neck tops are back in trend. Give your favourite pair of jeans a breath of fresh fashion with a chic halter top. While you're at it, match your sunglasses to your top's tint and you're Poo-approved for the first day of college. POPxo Recommends: Self-Design Blouson Top (Rs 899) by All About You. I seriously think that this movie and Katrina Kaif's wardrobe in it is highly underrated. Katrina plays the role of an Indian girl studying in a pre-9/11 New York. Her dress sense ranges from tomboyish cargos to girly summer skirts. If not for the boots and the layering, go for a pretty skirt for the first day and let people know who's going to be the new Miss Fresh Face. POPxo Recommends: Pink Printed Skirt (Rs 439) by Sera. Ah, Heer! 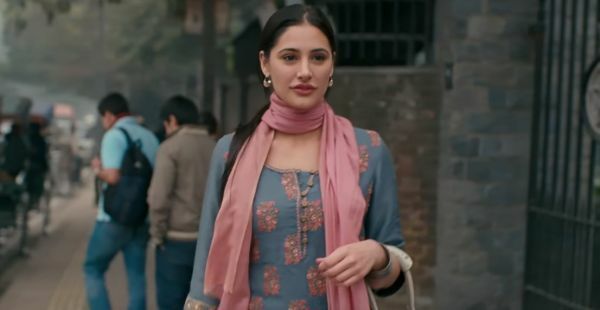 Played by Nargis Fakhri in her debut film, Rockstar, Heer is a Kashmiri girl studying at Delhi University but her wardrobe, too, is like heaven on Earth. Wear a pretty kurta with a salwar on your first day and take cues from Heer to look like anything but a 'behen ji'. A quirky scarf wrapped around your neck, statement jhumkas and tote bag are all you need. POPxo Recommends: Pink Printed Scarf (Rs 479) by FabSeasons. While we're on the subject of starting college on a desi note, there's yet another Kareena style that comes to mind, completely opposite to that of Poo's. One thing that left a fashion mark was the gigantic tote bags that Kareena's character, Divya, is carrying in the movie. Whether she's wearing a proper Patiala suit or a long kurta, there's always a big bag theory to save the day. POPxo Recommends: Boho Fringe Beige Bag (Rs 537) by Vajor. You were probably waiting for Shanaya's turn to come so here goes. All of her outfits from her debut movie, Student Of The Year, are highly fashionable but no one would wear an expensive dress to college every day. 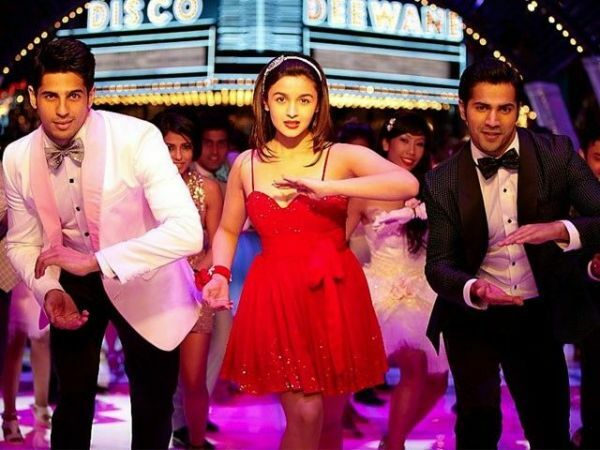 We recommend Shanaya's iconic Disco Deewane red strappy dress for the freshers' party. You'll be the talk of the town, we bet. After all, "voh mere liye chillaye, seeti bajaye", that's more your thing! POPxo Recommends: Red Solid Bodycon Dress (Rs 1,399) by Forever 21. Another underappreciated but uber chic look is Priyanka Chopra's from Teri Meri Kahaani, Radha. Go for a slogan t-shirt or tank top with denim shorts, dress up with a chunky bracelet and a cool backpack to complete your look. Let your outfit do the talking while you do the rocking! You can also carry a denim jacket or shrug to make your outfit look even more stylish. POPxo Recommends: White & Black Printed Mesh Back Top (Rs 598) by Vero Moda. Let me begin by saying that the "Scholar Naina" look made me Miss Fresher's in the Journalism Department in my freshmen year. All you need to do is get a pretty printed sundress, pair it with a solid coloured shrug and put a hairband on. Wear dorky glasses to nail the look, the Naina Talwar way. You can never go wrong with Queen D! POPxo Recommends: Blue & Red Floral Print Fit & Flare Dress (Rs 699) by Tarama. Alia Bhatt and her look as Ananya in 2 States are as simple as they are stylish. Just a basic t-shirt, a maxi skirt and a fancy waistcoat is what she needed to make basic look ba(e)sic(k). POPxo Recommends: Navy & Red Printed Tailored Jacket (Rs 959) by Rangriti. The movie Riya Somani was just like the book Riya Somani, full of confidence and stylish outfits on her back. It was definitely difficult to choose her top look from so many amazing looks in the movie, but we settled for this - a cold-shoulder top, denim dungarees with suspensers lying on the sides and tan gladiators. Take a cue from Riya and accessorise your outfits with statement necklaces. POPxo Recommends: Blue Denim Dungarees (Rs 1,709) by Xpose. The latest addition to our list is Janhvi Kapoor. Her debut movie, Dhadak, is not even out yet and we're already borrowing her looks for some desi style inspiration. 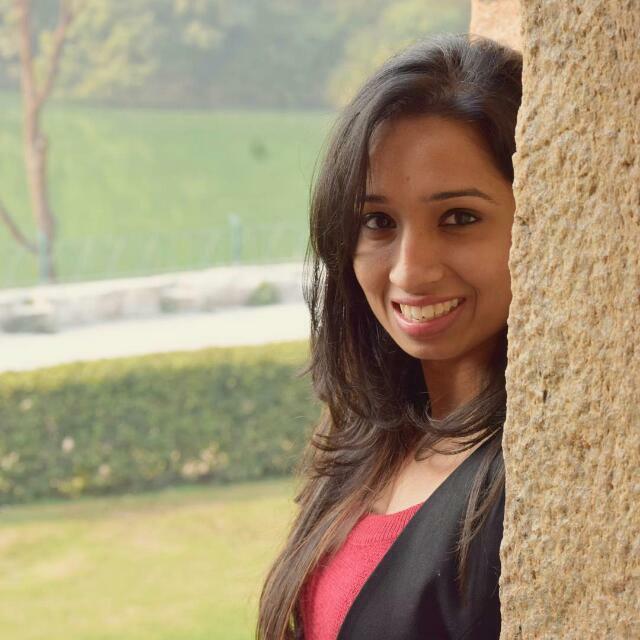 Parthavi's collection of earrings is worth noticing. Yet another important lesson in accessorising - jewellery. Stock up on some jhumkas and make everyday a good #OOTD day effortlessly.